TR044CD Seelenfrost - Des Mondes Staub album available as mediabook now! 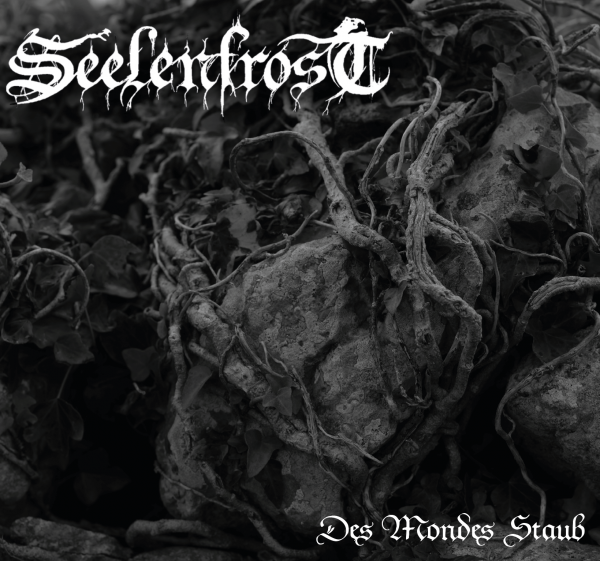 Seelenfrost, the german black metal band release their fifth album titled 'Des Mondes Staub'. Earlier planned as one concept album, they splitted it into two. So it is not just chronological, but also topically the sequel to the opus '☽' and closes the lunar cycle. The topics of the songs handle thoughts, longings, decisions which were made, the challenging of them. The crossing from the realm of the living to the realm of dead based on the lunar cycle reflects the thoughts. The tracks on 'Des Mondes Staub' are straigther as the prequel but not losing the typical sound of Seelenfrost. Beneath vocalist D.F.D.E. (Tracks: 03, 05, 06, 08, 09, 11), also Grimwald of Wintarnaht voice are involved (Tracks: 01, 02, 04, 07, 10). The opus is available as mediabook with sticked in booklet on the left site, consisting of eight pages. The design itself is kept in black. The pictures are in grey tint with white font and complete the layout. The cd itself is in a transparent tray on the right site.